If I were told I could only wear one thing for the rest of my life (who is this cruel person I'm listening to? ), I would have to choose a wonderful dress. No ordinary throw-on jersey tube but a decadent, pretty, comfortable, swishy, statement-making dress—the kind that isn't really tied to a particular season or time and that is always guaranteed to garner compliments, even if I have to wear it on repeat. The whole Who What Wear team is, in fact, a bona fide clan of cult-dress obsessives; there's nothing we track more fervently on social media or add to our baskets more often. In the past few days, we've spied a new Ganni piece leading the Scandi pack and uncovered a winning high-street midi that looks so expensive, even wealthy girls are buying it. Which is why it's easy for us to spot the next big dress trend from 50 paces… or 50+ hours of scrolling each week on Instagram. 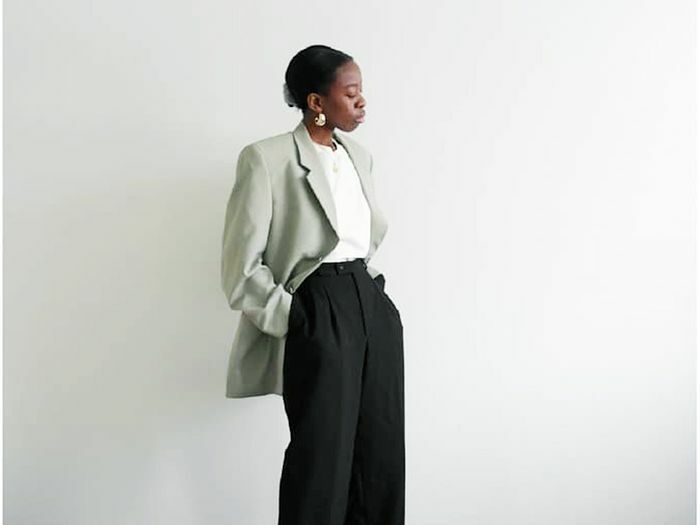 Because the weather is starting to turn both in the UK and in some of the countries where we follow a huge number of influencers and industry insiders, we're starting to see coats being shed and dresses being highlighted as the new hero item of many an outfit. Here's what I've noticed so far when it comes to 2019's Instagram dress trends. That means anything with back detailing is very much on the menu for summer. Whether strappy and laced up, tied with a single grosgrain bow or simply cut away to a deep, scooped line, if you're looking to show some ski, this is the fashion way to do it in 2019. So well done, you, if you're already the proud owner of a pink dress. Every shade feels current, from amped-up fuchsia to softer hues of candy, so it's about finding the version you feel most comfortable in. All shapes, silhouettes and finishes are on offer right now, from slinky satin slips to minidresses in pink-based prints. If you're interested in finding a cut that feels most of the moment, this is it. Whether short or long, extra-volumnious or super-subtle, you'll find there's no shortage of puff-sleeve action to be had. It's the most flattering and comfortable option for us all. It's stretchy without being clingy or unforgiving, and I now want every single dress of mine to involve shirring around the waist. You'll find this detail has taken over the high street (ASOS, Topshop and Free People all have great versions), but you can invest in more luxe versions too (Ganni and Rhode Resort are a couple of my favourites). I don't care if it's sequins, satin or lurex, it's perfectly acceptable to wear your high-shine pieces by day. Make like Lucy Williams and diffuse the "extra" by adding casual cowboy boots. Great news if feeling covered up is a priority for you. There is more choice within this department than ever before—and at every price point too. What's more, the selection isn't at all boring. Win-win. Whether you like it or not to begin with, I think you might be persuaded into neon once you try something on. Surprisingly good on every skin tone, it's just about whether you want to go all-in for '90s styles or opt for something more elegant. Definitely one for your holiday packing. Next up, your guide to summer's top sandal trends.